In total, there are over 760,000 CHAdeMO-compatible cars globally (1.3 million including Tesla using the CHAdeMO adapter). CHAdeMO share is 22% (44% with Tesla) globally and 50% in the European Union. CHAdeMO share will significantly decrease in 2019 as Tesla Model 3 is not only sold in high volume, but also is equipped with a CCS Combo2-compatible inlet outside of North America. 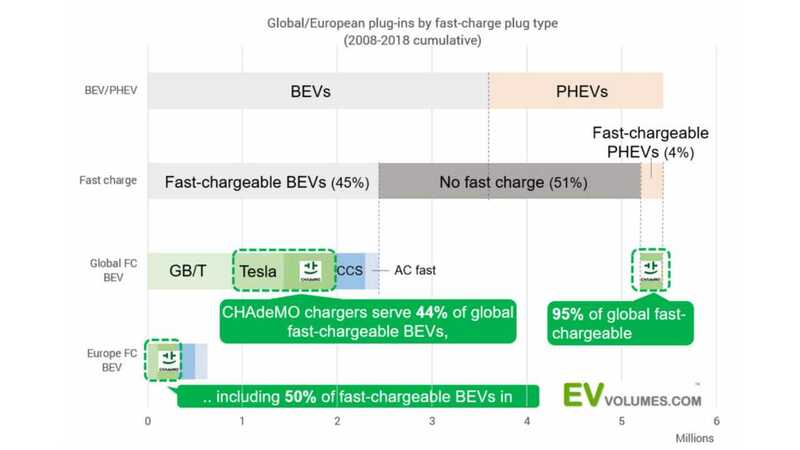 "With CHAdeMO and Tesla BEVs, CHAdeMO chargers today service 50% of the fast-chargeable BEVs on the roads in EU. That said, this EU fast-charge inlet breakdown is expected to change as there are more CCS plug-ins coming to the market including Tesla’s Model 3s, starting delivery this month." Despite the high numbers, CHAdeMO has become lonely, limited mostly to two related manufacturers (Nissan and Mitsubishi) and a single market (Japan). To keep the standard alive, CHAdeMO intends to join forces with Chinese GB/T and create a new harmonized fast-charging standard in 2020. The working name of the new standard is ChaoJi. "CHAdeMO, serving the biggest number fast-chargeable plug-ins in the world and in Europe, is also making proactive moves for harmonising fast-charging protocols in an effort to facilitate charging for current AND future EV owners. 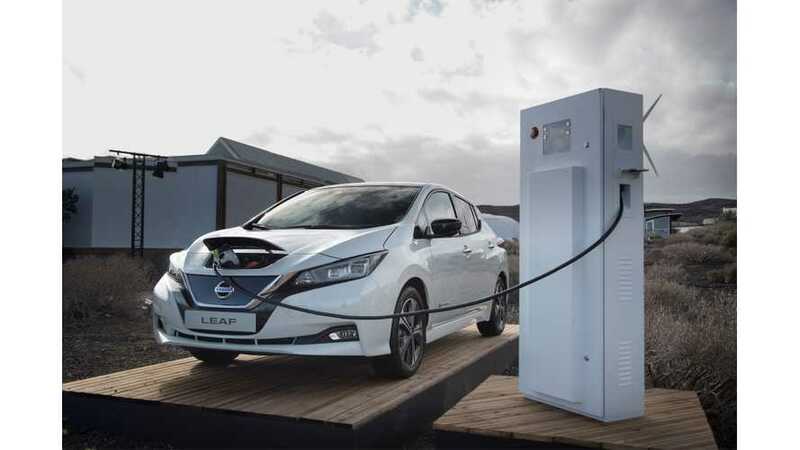 A move that started last summer, when CHAdeMO and CEC, Chinese Electricity Council, announced that CHAdeMO and GB/T shall harmonise in the next-generation ultra-fast charging standard. These two groups have also reached out to other countries to join in the endeavour to harmonise for the future. The new standard, with a working name of ChaoJi, is planned to be published in 2020 and the R&D teams are running demo projects using prototypes throughout 2019."